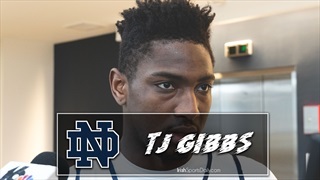 Postgame video following Notre Dame's 69-59 win over Georgia Tech. 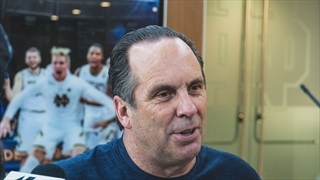 Notre Dame head coach Mike Brey recapped the win over Georgia Tech on Sunday evening. 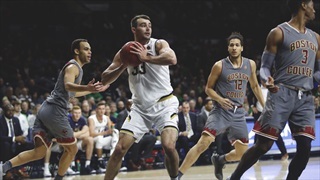 Notre Dame erupted for 45 second half points to get its third league win of the year. 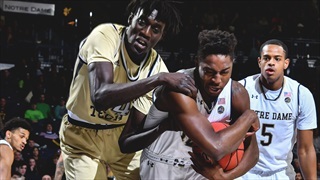 Notre Dame will look to get its third ACC win of the season on Sunday afternoon. 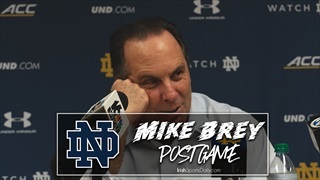 Hear from Mike Brey, Nik Djogo and TJ Gibbs as the Irish prepare for Georgia Tech. 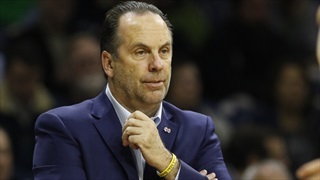 Notre Dame head coach Mike Brey spoke about the offensive struggles in ACC play and TJ Gibbs on Friday.